Financial technology can catalyze innovation, lending, and improvements to infrastructure. Policy Reform to improve access to fiscal resources and inclusion is a necessary precursor. The Mekong Business Initiative, a program sponsored by the Government of Australia, is foraging the path to expedite these processes for all. Meet FINTECH – The accelerator targeting local and international financial innovators as well as Vietnamese commercial banks. 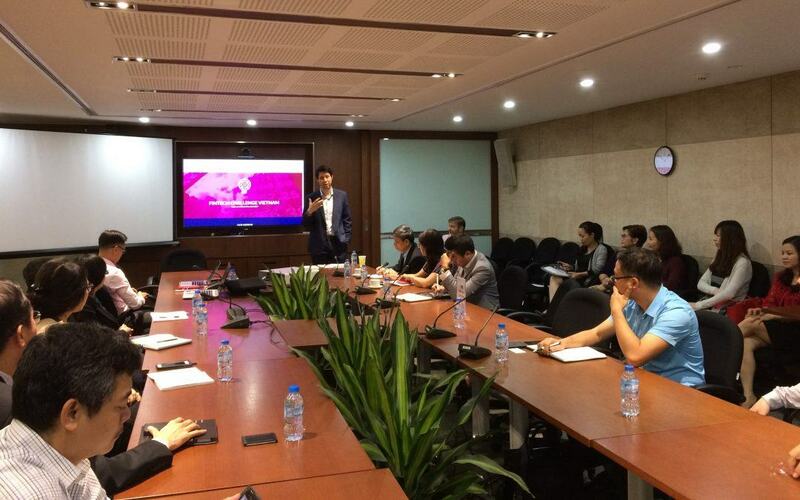 Introduced this week, FINTECH frontrunners met this week at Asian Development Bank (ADB) in Hanoi, Vietnam to introduce the new program and discuss the current financial landscape. Among the attendees were Ernst & Young Vietnam with Ms. Nguyen Thuy Duong, State Bank of Vietnam (SBV) with Ms. Thai Thu Huong, ADB, MBI, Vietnam Bank Association (VNBA) with Mr. Nguyen Toan Thang, Vietnam Fintech Club, Banks (Vietcombank, Vietinbank, BIDV, VIB, VPBank, TPBank), FPT, Vietnam Sillicon Valley (VSV), Bitcoin Vietnam with Mr. Lennard Mulder. Dominic Mellor, Senior Country Economist at ADB and head of MBI gave the opening remarks. Mellor pointed out that the FINTECH challenge is a 5-year spanning project. “We see a lot of countries around the region are piloting the sandbox approach. In Australia, Indonesia, Thailand, and other countries in ASEAN. It’s a really complicated set of regulations, it’s not a set of regulations that you can just copy what other countries do. It needs to fit the context of Vietnam and the process that evolves from learning by doing,” says Mellor. Thomas Moyes presented the FINTECH website with a particular focus on the mission, verticals (e-kyc e-identity, open APIs, blockchain, peer-to-peer lending, and payment technologies) and the logo.